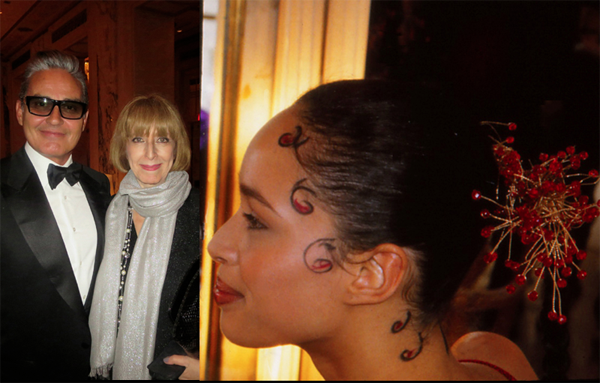 Here I am with Oribe in 2014, at the Waldorf Astoria, after an Intercoiffure AC event. And here is an original rare photo of one of his original ideas which I took in 1997 – He created drawn on kiss curls with a beaded sculpture decorating the back of the head for a NYFW show which took place in his salon, for Manolo. Gisele is at the World Cup, July 13, 2014, with her long hair. So definitely not cut.